Do you have favorite foods that you make every year are you just a pizza and chips kind of family? Well, whatever foods you usually make, I have a new snack that is sure to delight everyone and that just might become a Game Day staple! Super cool right? Kids and adults alike love it and the best part is that it’s super quick to make. The steps are very straightforward as you can see above. 2 Arrange your veggies and chips around it. 4. 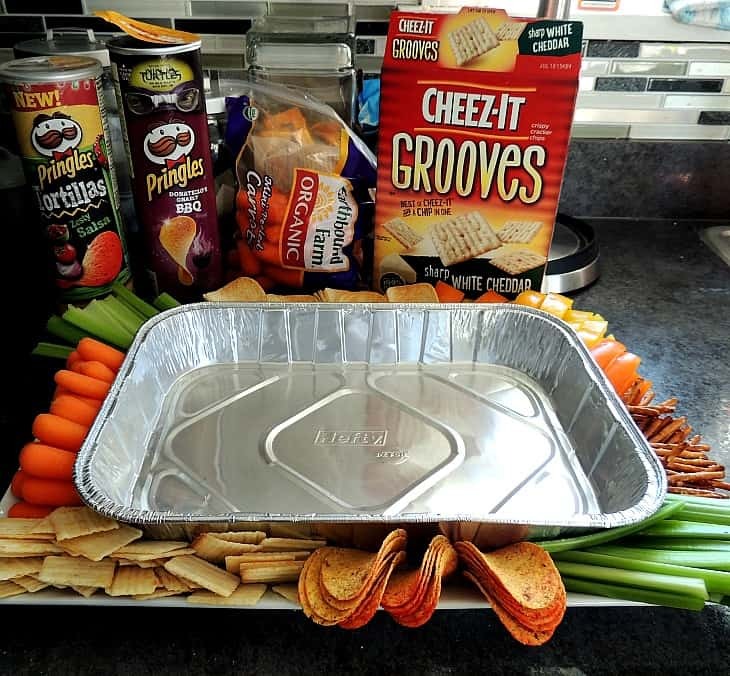 Put the second cake pan into the first one and voila – you have a snack stadium! So easy to make and looks pretty cool too, right? I am so excited to be participating in a Super Bowl Recipe Exchange with several incredible bloggers! Here are their recipes to round out your Super Bowl 50 menu! Not only am I sharing with you these great recipes, but I am also excited to offer my readers an opportunity to win a $100 gift card courtesy of Wayfair! You could choose from one of their MANY slow cookers , or any one of a million other things that will make your Super Bowl Party the biggest winner of the night! The giveaway is open until the winner of the Super Bowl is crowned. 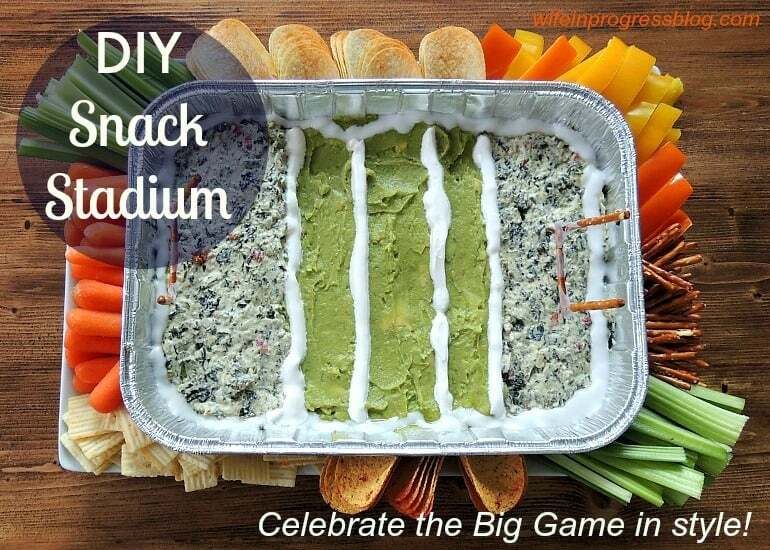 You totally made the snack stadium approachable! Love it! I am so happy I was introduced to your blog through our Super Bowl recipe exchange! I look forward to reading it for years to come. 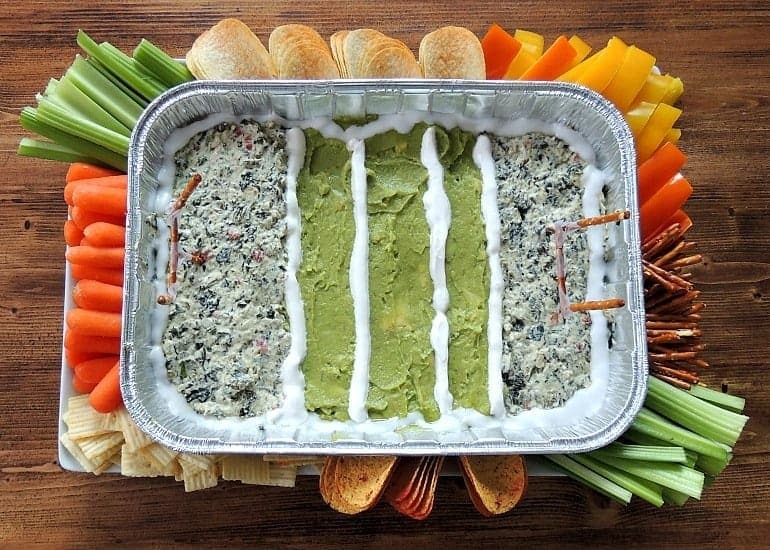 You will at life… my two favorite dips in the cutest “stadium” ever!! In love!